Few people understand the unique and remarkable lives of the turtles that live among us. Turtles evolved almost 220 million years ago, yet today they struggle to exist. Globally, turtle species are on the decline: from the worldwide trade of turtles (of which NY state has played a part!) to their inability to adapt to human landscapes, disease and climate change. Turtles are a spiritual symbol of endurance and longevity. 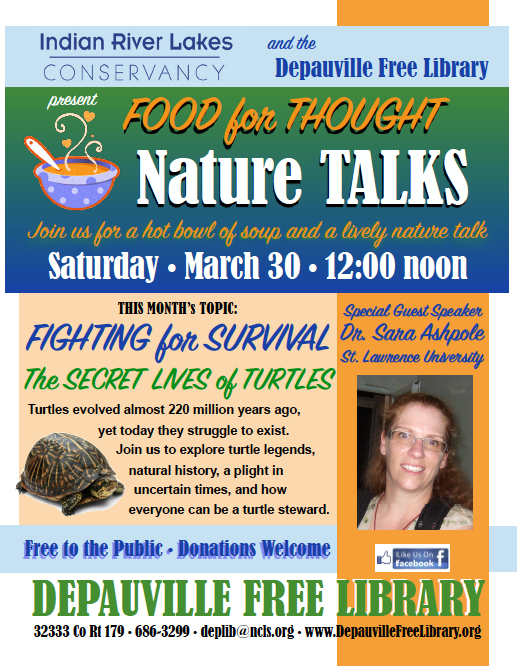 We will explore turtle legends, natural history, a plight in uncertain times, and how everyone can be a turtle steward. There will also be LIVE TURTLES TO VIEW!